2017 has brought a variety of new home design trends to the forefront of everyone’s consciousness. As your local modern home and estate construction company, we tend to see trends quickly from both our clients and the interior designers and consultants we work with. 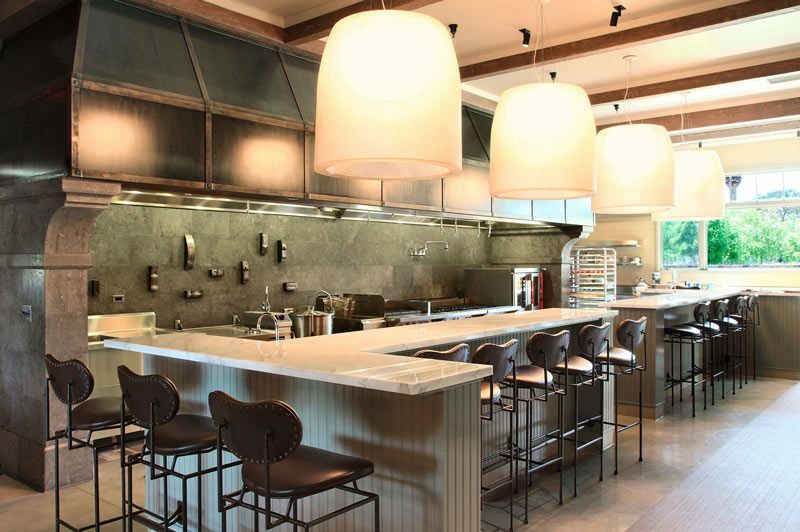 Variety in the kitchen has been a major trend in creating a modern interior. Marble is the leading force for countertops and across the board for home décor in 2017. 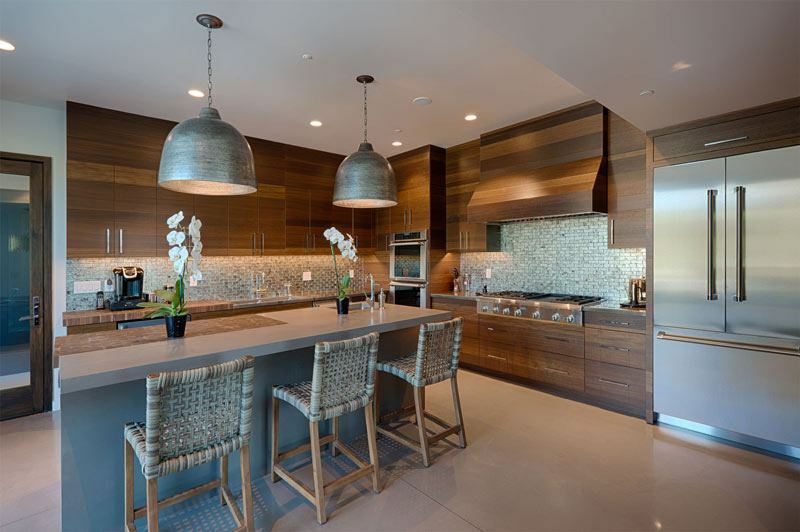 We’ve seen many kitchens mixing and matching countertops in their kitchen designs. A marble, granite or quartz countertop can lay adjacent to a more natural lacquered wood or stone finished counter. Things to try: Marble everything is huge in 2017. A simple look on Pinterest or in almost any retail store will confirm this trend’s reach this year. We’ve seen marble spread from countertops, to coffee tables, to stools, to even marble colored wallpaper accent walls. While marble rarely goes out of style, this rich texture will continue to dominate in 2017. Open floor plans that let in lots of beautiful sunshine are a modern home trend that continues to grow year over year. 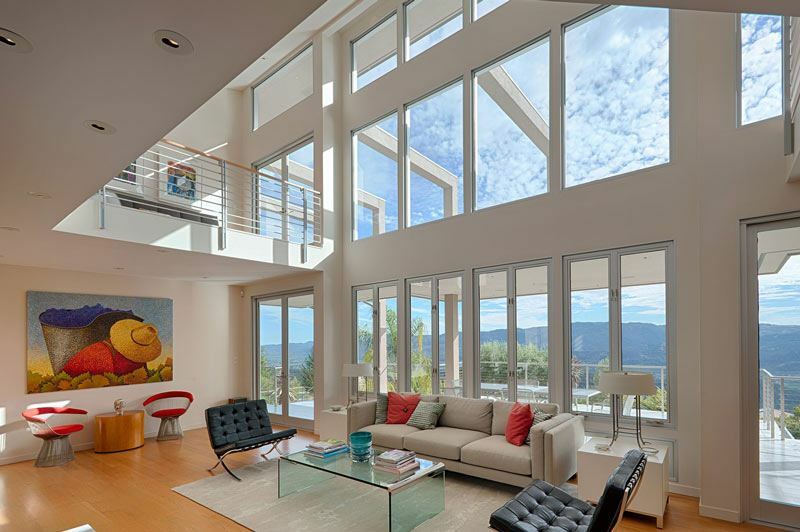 Homeowners everywhere are looking to either tear down existing walls to create open floor plans and add walls of windows to let the beautiful California sun into their homes. 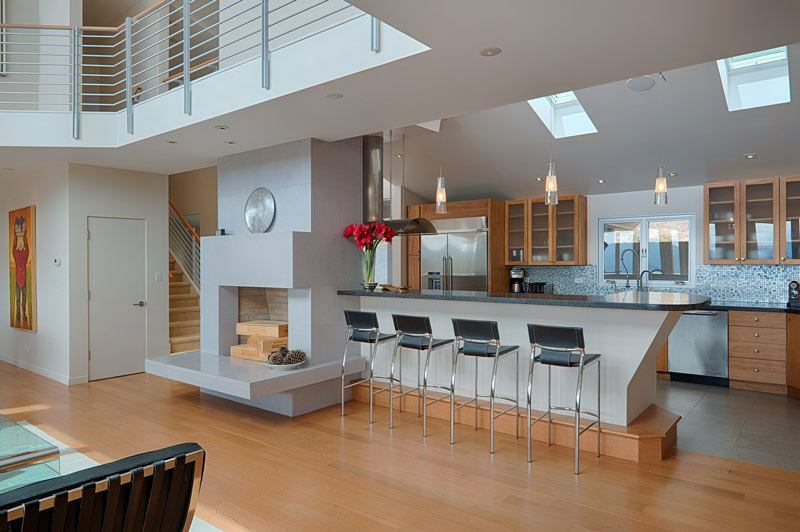 An open concept with blended indoor/outdoor space makes any room feel more substantial and bright. Our estate and home construction clients have shown a renewed interest in indoor living spaces with increased access to the outside. This can be achieved with walls of windows and complimenting glass doors that connect directly to a patio or terrace. Things to Try: Complimenting color palettes that add a unique accent or highlight to each space within an open floor plan. By playing with colors and fun feature pieces, you can make each room within your open living concept your own. The fireplace seems to never go out of style- but in 2017, many of our clients are saying the traditional hearth needs to go. Traditional brick hearths are being swapped out for new design elements that add creativity and curiosity to the fireplace. 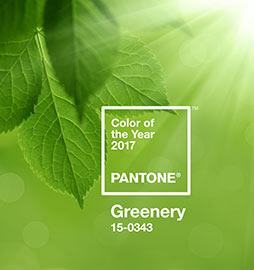 Pantone’s selection for this year is “a fresh and zesty yellow-green shade that evokes the first days of spring when nature’s greens revive, restore, and renew.” The color is meant to remind everyone to take a deep breathe, reinvigorate, and renew the connection we seek with nature. 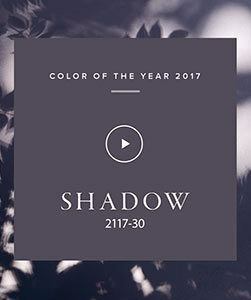 Where we see this color: We’ve seen Greenery used to add a vibrant yet classic splash of color to rooms via accent walls, intriguing end tables, or simply a new throw pillow. Where we see this color: Poised Taupe works perfectly in any room. Our favorite pairings have Poised Taupe walls with white trim and dark wood furniture. This cozy color is a fantastic jumping off point for any room. 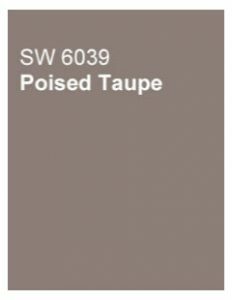 Where we see this color: Use this deep wall color to create a cozy space in an office or smaller room. If you’re not looking to make the plunge with a bold wall color statement, look for this color on accent pillows, stools, or curtains. What are some of your favorite trends so far? Let us know! If you would like to learn more about how to incorporate any of these trends into your next home or estate construction project, call or contact us online.